Work-related Blogs and News: A second life for trade unions? A second life for trade unions? According to a newly launched website, trade unions are set to experiment with possibilities of organizing workers through virtual reality worlds, such as Second Life. 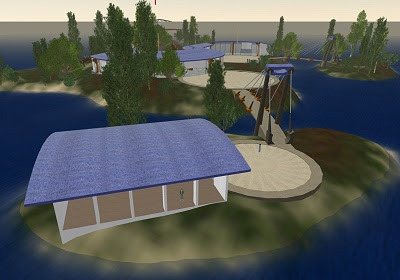 This is a blog to help co-ordinate the Union Island project in Second Life. A number of trade union organisations from around the world are coming together to set up a home for unionists and union issues in the virtual world Second Life. We’re planning to launch it later in 2008, but in the meantime want to hear from anyone with an interest in unions and virtual worlds. The possibilities are nearly endless. What should we be looking at? To find out about the first meeting see the latest post, here. Pass on the word, brothers and sisters! Thanks, again, to John, for the lead.